Austin, TX list of housing resources we have uncovered: Homeless Shelters, Supportive Housing, Halfway Housing, Transitional Housing, Day Shelters, Low Income Housing, Residential Alcohol and Drug Treatment Centers. Shelter Listings is dedicated to serving the homeless and low-income. 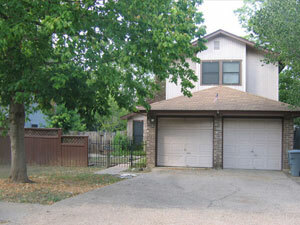 We have listed out the shelters and low cost housing services we have in Austin, TX below. This list has homeless shelters, halfway houses, affordable housing, etc. The database consists of over 3,000 listings and includes emergency shelters, homeless shelters, day shelters, transitional housing, shared housing, residential drug alcohol rehabilitation programs and permanent affordable housing. Austin is in Travis County, TX. Search listings by Travis County. boarding home for both men and women. 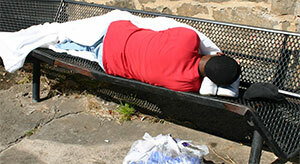 Homeless First Point of Entry, Shelter and services. Day Shelter and services such as: Front Steps is committed to providing a full range of services to support our clients in moving from homelessness to safe, affordable long-term housing. Residential Re-entry programs, Transitional housing, substance abuse treatment. affordable housing and essential services to mothers and children experiencing homelessness in Central Texas. We house and feed the mentally ill and those that have failing health issues who are unable to return home. Veterans are especially welcome. Transitional Housing and substance abuse needs. Transitional Housing, Affordable housing amd case management only for parents and their children. transitional sober living facility for men and women over 18 individuals confronting or rebuilding from losses associated with homelessness, incarceration and substance abuse.